This is a scalable context timeline. 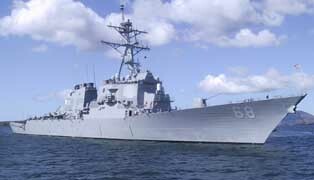 It contains events related to the event Mid-September 2000: Bin Laden Message Gives Hint of Upcoming USS Cole Attack. You can narrow or broaden the context of this timeline by adjusting the zoom level. The lower the scale, the more relevant the items on average will be, while the higher the scale, the less relevant the items, on average, will be. Nabil al-Marabh will claim in a 2002 statement that in May 1999, the FBI approaches him in Boston, looking for Raed Hijazi. Al-Marabh will say he lied and said he did not know Hijazi, even though he knew him well. Hijazi apparently has not been involved in any violent crime yet, but will participate in a failed attempt to bomb a hotel in Jordan (see November 30, 1999) and will help plan the USS Cole bombing in October 2000 (see October 12, 2000). [Washington Post, 9/4/2002] In August 1999 FBI agents again visit al-Marabh’s Boston apartment to ask him about another man. 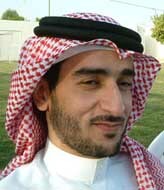 Al-Marabh’s wife will later recall that the first name of this man is Ahmed. [New York Times, 10/14/2001] He is from Jordan and had lived in their apartment for two months. [New York Times, 9/21/2001] Around the same time, the Boston FBI is looking for another associate of al-Marabh’s, Mohamad Kamal Elzahabi (see 1997 and 1999). They work at the same taxi company and fought together in Afghanistan. 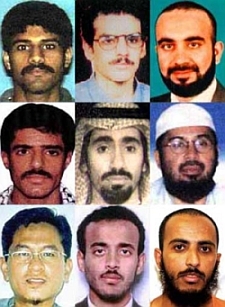 While in Thailand, 9/11 hijackers Khalid Almihdhar and Nawaf Alhazmi associate with three of the operatives who will later be involved in the bombing of the USS Cole (see October 12, 2000). The two hijackers arrive with Khallad bin Attash, who will command the Cole operation. 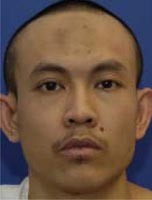 The three of them come from Malaysia, where they were under surveillance by the CIA (see January 5-8, 2000 and January 8, 2000). While in Bangkok, bin Attash meets Cole bombers Fahad al-Quso and Ibrahim al-Thawar, who give bin Attash some money, possibly $36,000. Some of this may be passed to Alhazmi and Almihdhar. Under interrogation after 9/11, bin Attash will claim that, even though they all stay in the same hotel for part of the time (see (January 5-8, 2000)) the two groups do not meet. However, such statements are thought to be unreliable because of the methods used to extract them (see June 16, 2004). [9/11 Commission, 1/26/2004 ; 9/11 Commission, 7/24/2004, pp. 159; Wright, 2006, pp. 312] Shown photographs of Alhazmi and Almihdhar after 9/11 by the FBI, al-Quso will say that he recognizes the two, but indicate that this may be because he met them at camps in Afghanistan. [New Yorker, 7/10/2006 ] However, he is apparently photographed by Malaysian authorities standing next to Almihdhar in Kuala Lumpur (see (January 5-8, 2000)). A CIA informant reveals that a militant group based in Sidon, Lebanon that is affiliated with bin Laden is planning to attack a US naval ship somewhere in the Eastern Mediterranean, probably off the coast of Lebanon. [Miniter, 2003, pp. 215] This is a probable reference to Asbat al-Ansar, the only group that fits such a profile. [US Department of State, 5/21/2002] The CIA and Defense Department discount the threat, pointing out the US is not deploying ships near Lebanon. However, counterterrorism “tsar” Richard Clarke will later say he was alarmed by the warning because it showed increased ambitions for al-Qaeda in going after hardened military targets. [Miniter, 2003, pp. 215] Al-Qaeda will successfully bomb the USS Cole several months later in Yemen (see October 12, 2000). According to PBS, an Egyptian informant warns US intelligence that al-Qaeda will attack an American warship. [PBS, 10/3/2002] The FBI also notices increased telephone activity by al-Qaeda in Yemen around the same time (see August-Early October 2000). 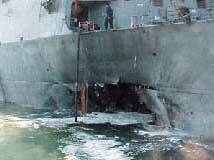 The USS Cole is attacked in the autumn of this year (see October 12, 2000). Before the bombing of the USS Cole in Aden, Yemen, Ramzi bin al-Shibh makes two trips to Yemen’s capital, Sana’a, and will later be said to play a role in the attack. 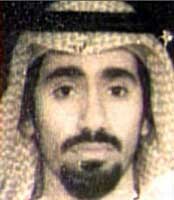 Although bin al-Shibh is never named as a certain participant in the operation, he flies from Frankfurt, Germany, to Dubai, United Arab Emirates (UAE), on October 10, 2000. 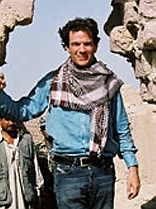 The next day, he flies from Dubai to Sana’a, putting him there one day before the bombing (see October 12, 2000). He flies from Sana’a to Dubai on October 21, and where he goes from there is not certain. [Los Angeles Times, 10/24/2001; Khan, 8/11/2002 ; Australian, 12/24/2002; McDermott, 2005, pp. 209] Bin al-Shibh was also in Yemen for about four weeks up until a month before the bombing (see August-September 2000). Note also that the CIA is working with the Dubai airport to track all suspected militants passing through it, although it is not known if bin al-Shibh is suspected at this time (see 1999). He apparently attended an al-Qaeda summit with the other commanders of the ship-bombing operation in 2000 (see January 5-8, 2000) and some media reports indicate an application for a US visa he makes after the attack is rejected due to concerns about his involvement in the bombing. 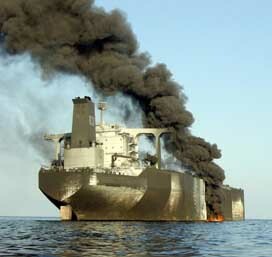 For example, the Los Angeles Times, based on conversations with law enforcement officials, will report that bin al-Shibh is “linked to the terrorist attack in Yemen on the US Navy destroyer Cole.” [Los Angeles Times, 10/21/2001] Newsweek, the BBC, and Al Jazeera journalist Yosri Fouda will also report similar statements by law enforcement officials (see May 17, 2000-May 2001). 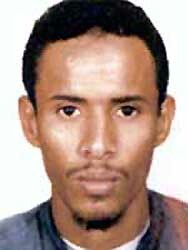 [Newsweek, 11/26/2001; BBC, 9/14/2002; TBS Journal, 10/2002] One of the 9/11 hijackers, Khalid Almihdhar, may also be involved in the bombing (see Around October 12, 2000). Although three surveillance photographs of al-Qaeda’s Malaysia summit are passed to the FBI at this time (see Late May, 2001 and June 11, 2001), another key photograph the CIA has of the meeting is withheld by CIA officers Clark Shannon and Tom Wilshire. The key photograph shows al-Qaeda logistics manager Khallad bin Attash, who commanded the attack on the USS Cole (see October 12, 2000). Author Lawrence Wright will later comment: “Thanks to [FBI agent Ali] Soufan’s interrogation of [USS Cole bomber Fahad al-Quso], the Cole investigators had an active file on Khallad and were preparing to indict him. Knowledge of that fourth photo would likely have prompted [FBI manager John] O’Neill to demand that the CIA turn over all information relating to Khallad and his associates. By withholding the picture of Khallad attending the meeting with the future hijackers [Khalid Almihdhar and Nawaf Alhazmi], the CIA may in effect have allowed the September 11th plot to proceed.” [New Yorker, 7/10/2006 ] The CIA also has video and even more photos of the meeting (see January 5, 2000 and January 5-8, 2000 and Shortly After), but these are not shared either, and it is unclear how aware Wilshire and Shannon are of this additional material. White House counterterrorism chief Richard Clarke sends a memo to National Security Adviser Condoleezza Rice in which he warns that hundreds of Americans could die in an attack by al-Qaeda and complains that the Bush administration is not doing enough to combat the threat posed by the terrorist network. [9/11 Commission, 3/24/2004; Washington Post, 3/25/2004] The National Security Council’s principals committee—a group of senior officials who advise the president on issues of national security policy—is set to meet today to discuss al-Qaeda. Before the meeting takes place, Clarke sends a memo to Rice in which he criticizes US counterterrorism efforts. Al-Qaeda Could Kill 'Hundreds of Americans' - The “real question” before the members of the principals committee, Clarke writes in the memo, is, “[A]re we serious about dealing with the al-Qaeda threat?” He suggests: “Decision makers should imagine themselves on a future day when the [White House Counterterrorism Security Group] has not succeeded in stopping al-Qaeda attacks and hundreds of Americans lay dead in several countries, including the US. 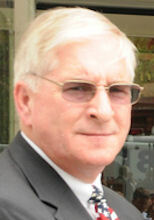 What would those decision makers wish that they had done earlier?” “That future day could happen at any time,” he adds. Twenty-five al-Qaeda operatives are captured in Karachi, Pakistan, including two key 9/11 figures. The captured include Tawfiq bin Attash, better known by his nickname Khallad. He is considered one of the masterminds of the USS Cole bombing (see October 12, 2000) and attended a Malaysia summit where the 9/11 plot was discussed (see January 5-8, 2000). Also captured is Ali Abdul Aziz Ali, one of 9/11 mastermind Khalid Shaikh Mohammed’s nephews. He made travel arrangements for and wired money to many of the 9/11 hijackers. One investigator will later say, “He was turning up everywhere we looked—like a chameleon.” [New York Times, 5/1/2003; Los Angeles Times, 5/21/2006] Both Aziz Ali and bin Attash will be sent to secret CIA prisons and remain there until 2006, when they will be transfered to the Guantanamo Bay prison (see September 2-3, 2006). 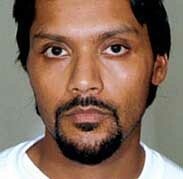 Bin Attash will be extensively tortured while in US custody in Afghanistan (see April 29 - Mid-May, 2003). The identities and fates of the others captured with them are unknown. A technique routinely used by CIA interrogators was the “hard takedown,” which involves an interrogator grabbing a detainee and slamming him to the floor before having the detainee moved to a sleep-deprivation cell. One detainee was hauled off his feet by his arms while they were bound behind his back with a belt, causing him severe pain. Mental Abuse - Numerous instances of mental and emotional abuse were also documented. A CIA interrogator told al-Nashiri that if he did not cooperate with his captors, “we could get your mother in here” and “we can bring your family in here.” The report says that the interrogator wanted al-Nashiri to infer for “psychological” reasons that his female relatives might be sexually abused. The interrogator has denied actually threatening to sexually abuse al-Nashiri’s mother or other relatives. Dr. Michael Gelles, the head psychologist for the Naval Criminal Investigative Service (NCIS), says that torture and coercion do not produce reliable information from prisoners. 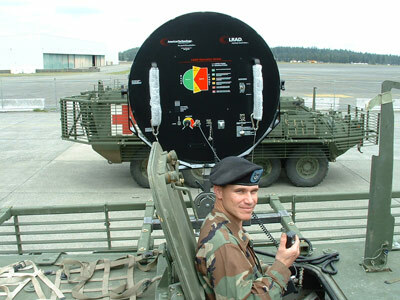 Gelles adds that many military and intelligence specialists share his view. Gelles warned of problems with torture and abuse at Guantanamo nearly three years ago (see Early December, 2002 and December 18, 2002). And he is frustrated that Bush administration officials have “dismissed” critics of coercive techniques as weaklings and “doves” who are too squeamish to do what is necessary to obtain information from terror suspects. In reality, Gelles says, many experienced interrogators are convinced that torture and coercion do more harm than good. 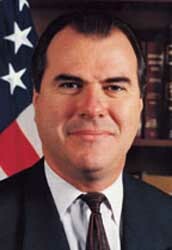 Gelles has extensive experience with interrogations in Iraq, Afghanistan, and Guantanamo, and notes that NCIS had interrogated Muslim terror suspects well before 9/11, including investigations into the 2000 bombing of the USS Cole (see October 12, 2000) and the 1983 bombing of a Marine barracks in Lebanon (see April 18-October 23, 1983). Conflict between Experts, Pentagon Civilians - Gelles describes a sharp division between interrogation specialists such as himself, and civilian policymakers at the Pentagon. Many government specialists, including fellow psychologists, intelligence analysts, linguists, and interrogators who have experience extracting information from captured Islamist militants, agree with Gelles that coercion is not effective, but top civilians in the Office of the Secretary of Defense disagree. Coercive interrogations try to “vacuum up all the information you can and figure out later” what is true and what is not, he says. This method jams the system with false and misleading data. Gelles compares it to “coercive tactics leading to false confessions” by suspects in police custody. Many at the Pentagon and elsewhere mistake “rapport-building” techniques for softness or weakness. Just because those interrogations are not humiliating or physically painful, Gelles says, the techniques are not necessarily “soft.” Telling a detainee that he is a reprehensible murderer of innocents is perfectly acceptable, Gelles says: “Being respectful doesn’t mean you don’t confront, clarify, and challenge the detainee when he gives the appearance of being deceptive.” On the other hand, coercive techniques induce detainees to say anything to make the pain and discomfort stop. “Why would you terrify them with a dog?” Gelles asks, referring to one technique of threatening detainees with police dogs. “So they’ll tell you anything to get the dog out of the room?” Referring to shackling prisoners in “stress positions” for hours on end, Gelles adds: “I know there is a school of thought that believes [stress positions] are effective. In my experience, I’ve never seen it be of any value.” Innocent suspects will confess to imagined crimes just to stop the abuse, Gelles says. Jaber Elbaneh. [Source: Yahya Arhab / EPA / Corbi]Twenty-three suspected al-Qaeda operatives break out of a high-security prison in the Yemeni capital of Sana’a. Escapees include Jamal al-Badawi, wanted for a role in the bombing of the USS Cole (see October 12, 2000), and Jaber Elbaneh, a US citizen believed to be linked to the alleged al-Qaeda sleeper cell in Lackawanna, New York (see April-August 2001). The men allegedly tunnel their way from the prison to the bathroom of a neighboring mosque. However, the New York Times will later comment: “[T]hat account is viewed with great skepticism, both in the United States and in Yemen. Many in Yemen say the escape could not have taken place without assistance, whether from corrupt guards or through a higher-level plan.” [New York Times, 3/1/2008] The prison is located in the basement of the Political Security Organization (PSO), Yemen’s equivalent of the FBI. Several days later, a cable sent from the US embassy in Yemen notes “the lack of obvious security measures on the streets,” and concludes, “One thing is certain: PSO insiders must have been involved.” Newsweek comments: “[P]rivately, US officials say the plotters must have had serious—possibly high-level—help at the Political [Security Organization].…. [T]he head of the PSO, Ali Mutahar al-Qamish, is said to be under suspicion, according to two US officials.” [Newsweek, 2/13/2006] Al-Badawi and nine others escaped a Yemeni prison in 2003 and then were recaptured one year later (see April 11, 2003-March 2004). 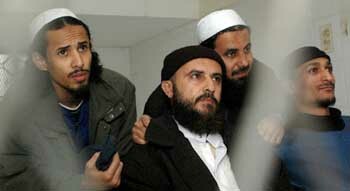 Al-Badawi and Elbaneh turn themselves in to the Yemeni government in 2007 and then are freed (see October 17-29, 2007 and February 23, 2008). Khalid Shaikh Mohammed, a Pakistani who claims responsibility for 31 terrorist attacks and plots, is believed to have masterminded the 9/11 attacks, and claims he beheaded Wall Street Journal reporter Daniel Pearl (see January 31, 2002). Mohammed was subjected to harsh interrogation tactics by the CIA, including waterboarding. Ali Adbul Aziz Ali, Mohammed’s nephew and cousin of jailed Islamist terrorist Ramzi Yousef. He is accused of facilitating the attacks by sending $120,000 to US-based terrorists, and helping nine of the hijackers enter the US. 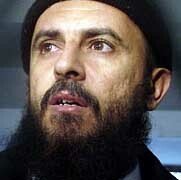 Ramzi Bin al-Shibh, accused of being a link between al-Qaeda and the 9/11 hijackers. Bin al-Shibh is accused of helping some of the hijackers obtain flight training. Khallad bin Attash, who has admitted planning the attack on the USS Cole (see October 12, 2000) and is accused of running an al-Qaeda training camp in Afghanistan. 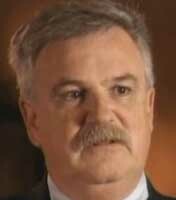 He claims to have helped in the bombing of the US embassy in Kenya (see 10:35-10:39 a.m., August 7, 1998). 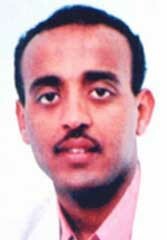 Mustafa Ahmad al-Hawsawi, accused of being a financier of the 9/11 attacks, providing the hijackers with cash, clothing, credit cards, and traveller’s checks. Mohamed al-Khatani, another man accused of being a “20th hijacker;” al-Khatani was stopped by immigration officials at Orlando Airport while trying to enter the US. He was captured in Afghanistan. Treatment of Detainees an Issue - While the involvement of the six detainees in the 9/11 attacks is hardly disputed, many questions surround their treatment at Guantanamo and various secret “black sites” used to house and interrogate terror suspects out of the public eye. Questions are being raised about the decision to try the six men concurrently instead of separately, about the decision to seek the death penalty, and, most controversially, the admissibility of information and evidence against the six that may have been gathered by the use of torture. Details of Forthcoming Tribunals - While the charges are being announced now, Brigadier General Thomas Hartmann, the Pentagon official supervising the case, acknowledges that it could be months before the cases actually begin, and years before any possible executions would be carried out. Hartmann promises the trials will be “as completely open as possible,” with lawyers and journalists present in the courtroom unless classified information is being presented. Additionally, the six defendants will be considered innocent until proven guilty, and the defendants’ lawyers will be given “every stitch of evidence” against their clients. 'Kangaroo Court' - British lawyer Clive Stafford Smith, who has worked with “enemy combatants” at Guantanamo, believes nothing of what Hartmann says. The procedures are little more than a “kangaroo court,” Stafford Smith says, and adds, “Anyone can see the hypocrisy of espousing human rights, then trampling on them.” Despite Hartmann’s assurances, it is anything but clear just what rights the six defendants will actually have. [Independent, 2/12/2008] The charges against al-Khahtani are dropped several months later (see May 13, 2008). Two Key Suspects Keep Slipping from Yemeni Prisons - For instance, Jamal al-Badawi, a Yemeni and key organizer of the bombing, broke out of Yemeni prisons twice and then was secretly released in 2007 (see April 11, 2003-March 2004, February 3, 2006 and October 17-29, 2007). The Yemeni government jailed him again after the US threatened to cut aid to the country, but apparently he continues to freely come and go from his prison cell. 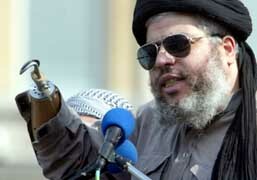 US officials have demanded the right to perform random inspections to make sure he stays jailed. Another key Cole suspect, Fahad al-Quso, also escaped from a Yemeni prison and then was secretly released in 2007 (see May 2007). Yemen has refused to extradite al-Badawi and al-Quso to the US, where they have been indicted for the Cole bombing. FBI Director Robert Mueller flew to Yemen in April 2008 to personally appeal to Yemeni President Ali Abdallah Saleh to extradite the two men. However, Saleh has refused, citing a constitutional ban on extraditing its citizens. Other Cole suspects have been freed after short prison terms in Yemen, and at least two went on to commit suicide attacks in Iraq. US Unwilling to Try Two Suspects in Its Custody - Two more key suspects, Khallad bin Attash and Abd al-Rahim al-Nashiri, were captured by US forces and have been transferred to the US-run Guantanamo prison. Al-Nashiri is considered the mastermind of the Cole bombing, but the US made the decision not to indict either of them because pending criminal charges could have forced the CIA or the Pentagon to give up custody of the men. Al-Quso, bin Attash, and al-Nashiri all attended a key 2000 al-Qaeda summit in Malaysia where the 9/11 attacks were discussed (see January 5-8, 2000). Possible Government Complicity - One anonymous senior Yemeni official tells the Post that al-Badawi and other al-Qaeda members have had a long relationship with Yemen’s intelligence agencies and have targeted political opponents in the past. For instance, in 2006, an al-Qaeda suicide attack in Yemen came just days before elections there, and Saleh tried to link one of the figures involved to the opposition party, helping Saleh win reelection (see September 15, 2006). Furthermore, there is evidence that figures within the Yemeni government were involved in the Cole bombing (see After October 12, 2000), and that the government also protected key bombers such as al-Nashiri in the months before and after the bombings (see April 2000 and Shortly After October 12, 2000). Military judge Colonel James Pohl denies the Obama administration’s request to suspend legal proceedings at Guantanamo Bay (see January 20, 2009) in the case of a detainee accused of planning the attack on the USS Cole (see October 12, 2000). Because of Pohl’s order, the Pentagon may be forced to temporarily withdraw charges against accused Cole plotter Abd al-Rahim al-Nashiri and perhaps 20 other detainees facing military trials, including 9/11 mastermind Khalid Shaikh Mohammed (see January 5-8, 2000 and November-December 2000).